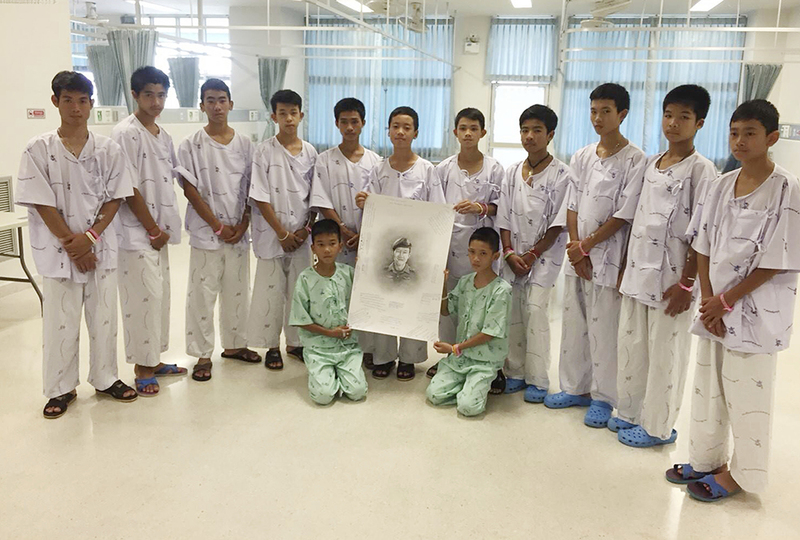 The 12 boys and soccer coach from Thailand who were trapped for almost three weeks in a partially flooded cave last summer were back in the media spotlight. 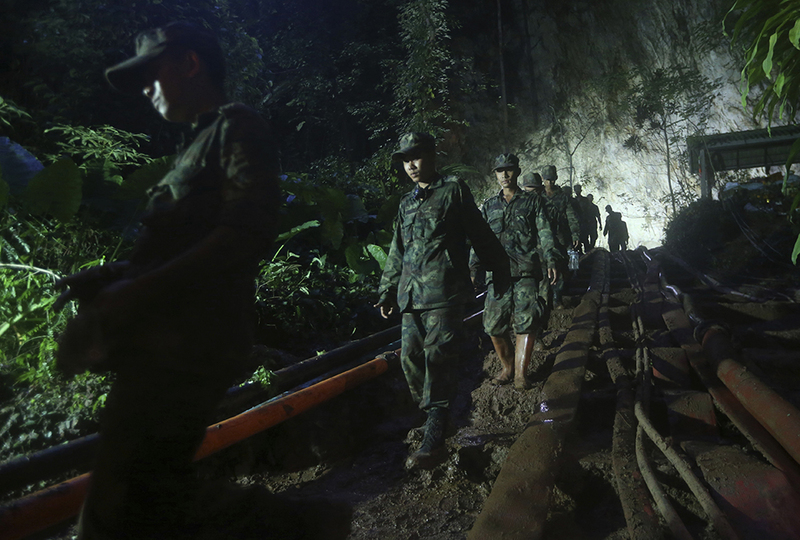 (See Thai Cave Rescue.) 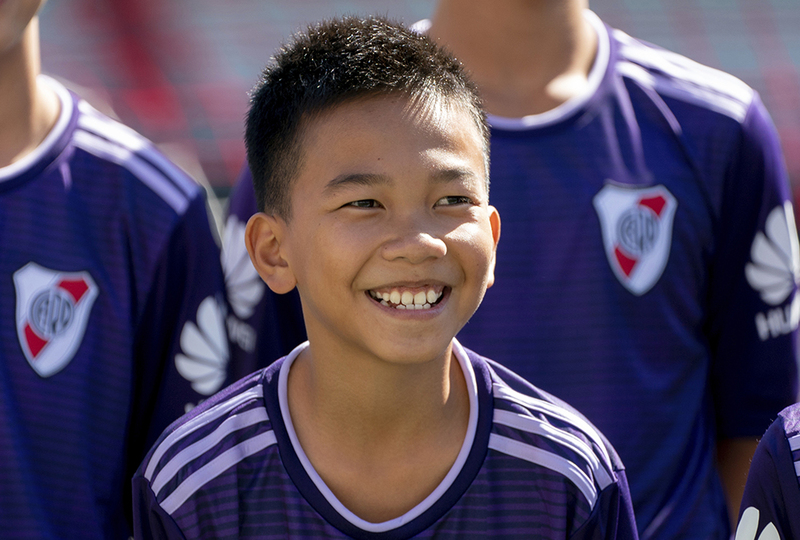 In October, the team played a friendly match against the River Plate youth soccer team of Argentina. It was a dream come true for the young Thais. Many of them want to become professional soccer players. The previous day, the Thai team—called the Wild Boars—participated in the opening ceremony of the Youth Olympic Games. They were applauded by thousands at the event. The Wild Boars became celebrities as the world watched prayerfully in hopes of their eventual escape from the flooded cave. 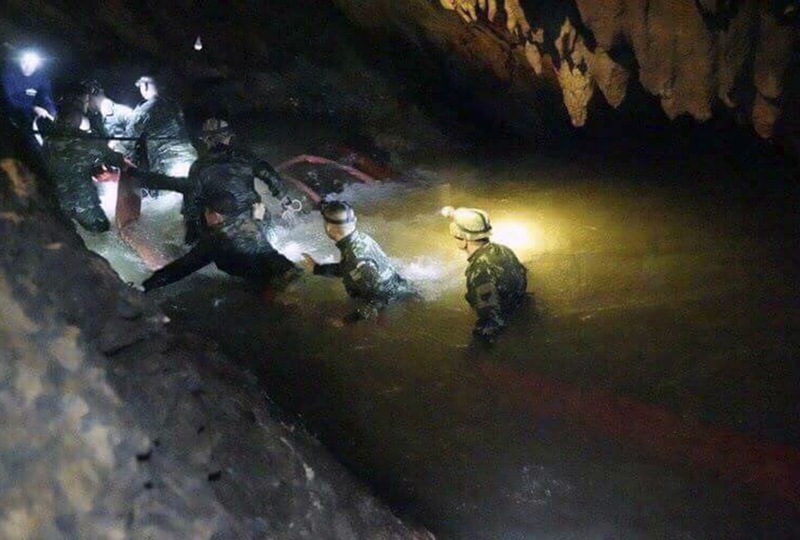 It was a complicated rescue mission, manned by an international team of highly experienced divers. One diver lost his life in the rescue attempt. After stopping at the Argentina games, the team took a brief tour of the United States. Originally, the entire group planned to take a half-year out of the public eye. This was to give time for healing from any psychological trauma resulting from their cave ordeal. But Thailand’s government has been acting as manager of the boys’ public lives since the event. The government seems eager to promote and share in the boys’ glory. The team was invited by FIFA President Gianni Infantino to attend the 2018 World Cup Soccer Final. They were unable to accept, however, as many were still recovering in the hospital at that time. Currently, public appearances and interviews have been going on for months. Movie deals are being negotiated. According to the deputy government spokesman, Weerachon Sukoondhapatipak, the kids are not taking a vacation with this trip. He says the overseas venture is meant “to show the world how our kids are.” He also says it provides the boys an opportunity to thank the rest of the world for the international effort that saved their lives. Paul the Apostle gave thanks to his friends who risked their lives for him (Romans 16:3-4), and all Christians live lives of gratitude to God for Jesus’ gift of His life in exchange for ours. Doing so is appropriate. In the United States, the boys visited both New York and Los Angeles. Television appearances were planned as well as meetings at the Thai Mission to the United Nations. But the young Thai athletes’ adventures weren’t entirely about obligation. A trip to Universal Studios theme park was also included. so happy that they all survived. wow!!! that's a long time to go without food. three whole weeks!!!!!!! thankyou Navy Seals! Quite the rescue! Praise God! It's too bad that the government is controlling them. They needed that 6 month break. They might have done some fun things, but wouldn't you think they would want to be with their parents? I love soccer and am so glad they made it out safely. I heard about this a few months ago. These boys are so blessed to have made it out safely. I would like to thank all Navy Seals, anyone in the Airforce, Army, or any branches of the Military. This is just a reminder to be careful when you're hiking, never go into an area that you don't know anything about. This boy looks so happy!!!! congrats to him. looks like he has a good life. they have gotten them out alive!!! !